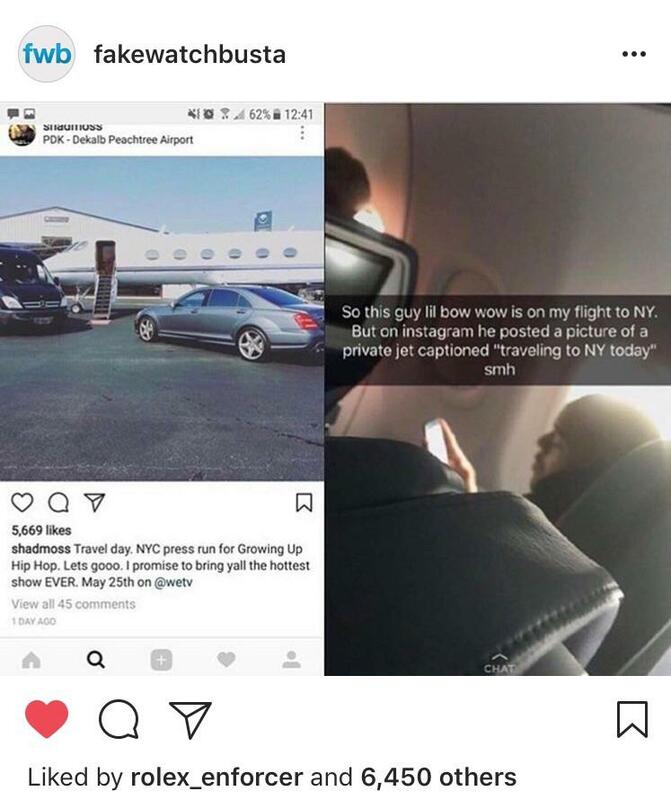 Bow Wow – or Shad Moss as he is known offstage and by his mum – posted a snap to Instagram bragging of his luxury lifestyle and suggesting he was flying on a private jet to New York for a gig. That wasn’t exactly true though. There was something decidedly shady about his post, which did not go unnoticed by his followers. He uploaded a picture of what looks like swanky, VIP cars waiting outside a posh, private jet, but after a bit of googling fans realised it was a stock image from a Florida based private hire company. Awkward. And just to make it all the more uncomfortable for the 30-year-old rapper, he was also caught on camera embarrassingly travelling like the rest of us mere mortals on a commercial flight to NYC. 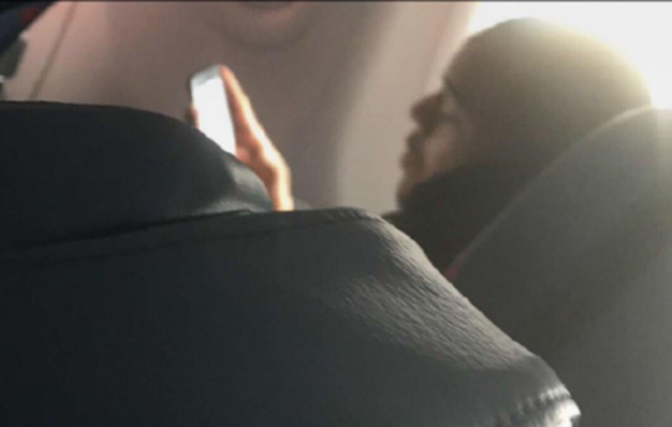 A passenger on the same flight as Bow Wow caught a snap of him unawares – presumably while he was imagining living like a king – and posted it to Snapchat so everyone knew the reality behind the fraudulent post. This isn’t the first time the rapper has been caught in an awkward ‘fake news’ situation though, as late last year, he got roasted for pretending he was on the way to a VIP suite at a Falcons game – when the team weren’t even playing…. Oops. Who’d have thought that his ‘Like Mike’ money wouldn’t cover a lifetime of luxury private travel? The heart bleeds.